A 2km coastal wall made from steel sheeting could be used to protect properties from flooding. Cardiff council had been planning to install a wall of boulders along the coastline as part of an £11m plan. It needs to protect about 250 homes and businesses in Tremorfa from flood risk caused by coastal erosion, according to the Local Democracy Reporting Service. The council is exploring the use of sheeting and other options before seeking funding from Welsh Government. A public consultation will be held before the application is submitted to ministers looking at the options to protect locations such as Tremorfa Industrial Estate and Rover Way, a key road into the city which includes a Travellers' site. 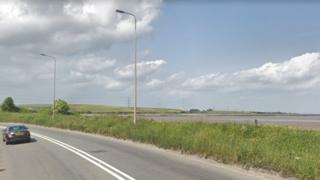 The council said the flood defence scheme could be completed in 2023.